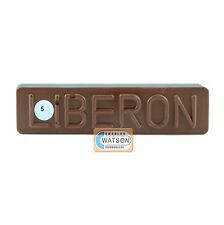 Liberon Retouch Crayons can be used to fill scratches, nail holes, worm holes etc. in furniture and other woodwork. Colour: Mahogany. - Easy rub on and buff off application. A signature will be required. 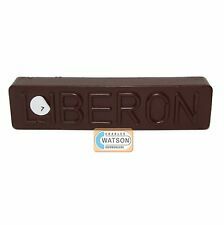 Liberon Wax Filler Stick 50g Single. Size/type: 50g (Single). Colour: 07 Dark Mahogany. Colour: Dark Mahogany. Type: Filler Sticks. find your part. However, delays are occasionally inevitable due to unforeseen circumstances. Genuine Carribean Island "Honduras" Mahogany. That was about 1985. Make any Offer! Larger and multiple listings available! Browse More. Window Hardware. Safe & Secure. Add to Favorites. If my parcel is dispatched via Parcelforce, how long should it take?. Knowledgeable staff who are always happy to help. We are your local ironmonger, online. Browse More. Safe & Secure. Add to Favorites. If my parcel is dispatched via Parcelforce, how long should it take?. Knowledgeable staff who are always happy to help. We are your local ironmonger, online. Have more will start custom listing, Just ask or offer!